Captivating rainbow foil and an amazing type layout, shown on one-eighth inch thick polished edge clear lucite, makes this invitation a true stand out. A matching enlarged rainbow foil name is shown on a W-white informal. D-seagreen is layered with W-white and shows yet another unique type layout. 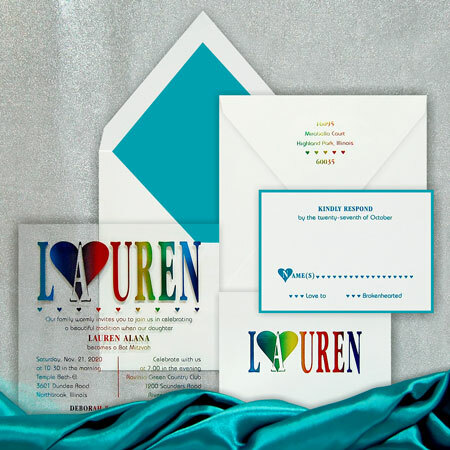 The W-white handmade envelope is lined with D-seagreen and features a rainbow foil address.